We are ringing in 2018 in Tokyo, one of the earliest place to begin this year in the world. Here, we spend the new year's eve and the new year's day with family just like Christmas in the states. 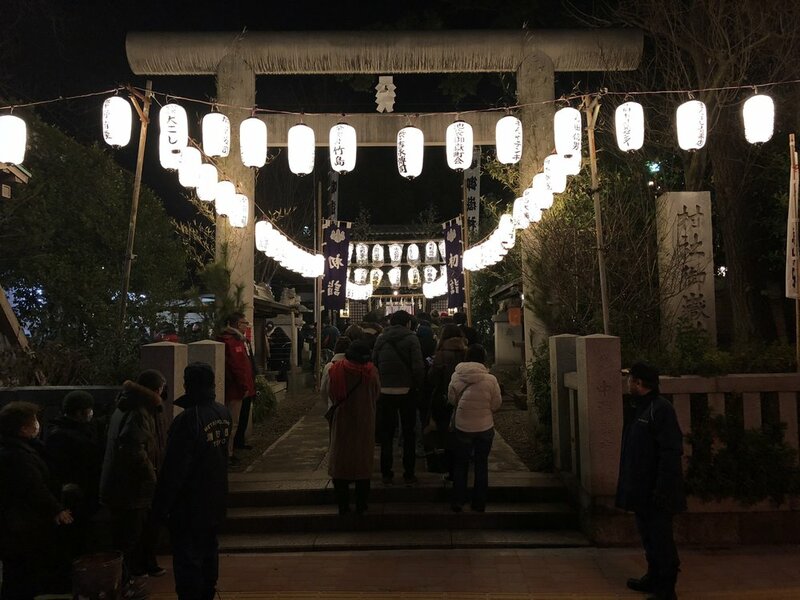 We had peaceful quiet moment to reflect back the whole year with 108 temple bell rings, right before the moment it turned to 2018. We also traveled a lot. Beside moving to Tokyo in April, we traveled to Japan in January, Iceland in March, Taiwan in June, and tour through Europe (Netherlands, France, UK, Belgium, and Finland) in September. 2017 was definitely a roller coaster ride for us. We have done so much, trying new things that we have never done before, and of course many of those things we didn't know how to do it at all. We have learned a lot about many different aspects of our life and business. As we are looking back, it sure was not easy, but we are truly grateful for these curve balls that the life has thrown at us. And thank you all the customers who has been supporting us through the past 5 years of 1.61 Soft Goods. We are planning to make 2018 as exciting as 2017, I know we have been neglecting this blog, we promise that we will put more effort keeping you all updated this year, so please come back here more often and read what we are up to! We have been traveling a lot this past year and the start of each trip began with a flight and has been punctuated with a flight. Being comfortable on a long trip could be a deciding factor of your attitude during your entire vacation. In this guide I will show you what I bring on each trip and why I bring it. Charging cords for cellphone, bluetooth transmitter, and headphones. The bare necessities to be comfortable on a plane for me is: a neck pillow, noise cancelling headphones, bluetooth transmitter, phone, and Benadryl. With these I can tune everything out and relax, just go to sleep and the flight is over before you know it. I take all of my valuable electronics on the plane. Checking valuables is ill advised so I keep the expensive parts in my carry-on. I leave the battery chargers and the accessories in my check-in. When traveling I will bring my laptop, my camera, my Go Pro, and my Nintendo 3DS. On the plane I seldom use my cameras so those would be at the bottom of my bag. For long flights I will use my noise-cancelling headphones (a must) to sleep/watch movies/listen to music. Prototype Daily Pouch-I mainly use prototypes for bags since we have to make a few of them before we get the product we want perfected for production. Any small bag would work for this. Commuter Roll-Top Pack- I like that our bag compresses and it is easy to access the main compartment without unrolling the top. This bag easily fits under the seat in front of you but you may be without leg space if you pack it so full the seams are bulging. I like to assign each pocket a specific purpose so I know exactly what I have in the pack and where it is. In the front compartment I keep. 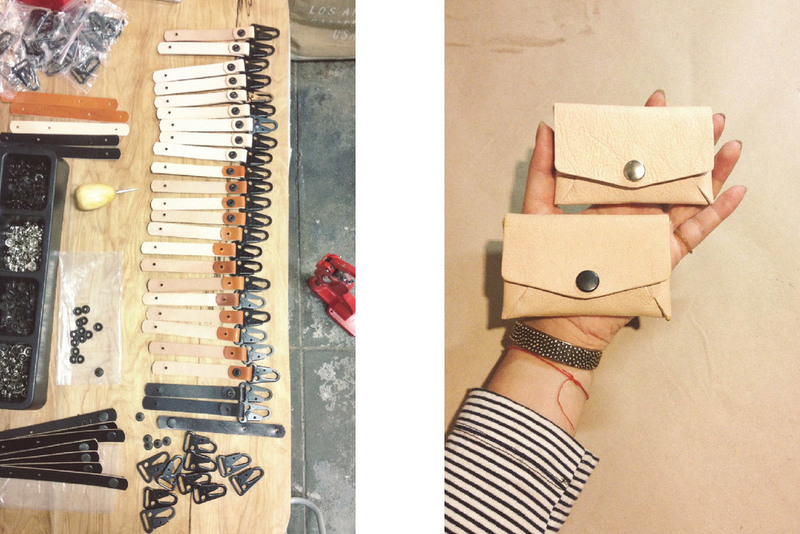 Prototype Leather Pouch-We actually don't have this bag on the site. It is still in its testing phase, I suppose. I have been on flights that had a 12 hour delay then was canceled, then another 12 hour delay the next day. I now pack an emergency delay bag to freshen up in the bathroom or lounge area. For sizing I would suggest it needs to be smaller than a duffle but larger than a dopp kit. If I am traveling with friends or family I like to bring snacks to share, something to satiate our hunger while we wait for the delicious economy class airline food ::sarcasm::. I grab a back of trail mix from my go to snack place: Target. Surprisingly they have a really diverse selection of trail mix and nuts. One of the most important aspects of travel. If you are not comfortable you will be miserable when you land. When you travel a lot it will seem like everyone travels in sweatpants and a sweatshirt. If you do that, awesome, but I don't like going outside looking like I just woke up from a 2 o'clock nap. I try to travel in functional everyday clothing. Lately I have been wearing vintage military pants which are great for layering as they are loose. The fabric is thin enough that if feels like wearing sweatpants but look somewhat more presentable. I wear a t-shirt, a zip up hoodie, and I bring and extra sweatshirt. As for the shoes I would suggest something that slips on and off easily. Though bulky I wear my Flyknit AirMax 360s as they are comfy and are easy to get on and off. It really doesn't matter what you wear as long as it is loose easy to take on and off and you can easily layer it. Nintendo 3DS: Great for when you feel extra bored. Also, the airport is a great place to gather Street Passes from all over the world! Extra Clothes: If you have a fear of a super long delay or you fear losing your luggage having a change of undies and a shirt would make a world of a difference. Empty Slim Water Bottle: If you feel the free drinks are not enough then packing a foldable water bottle and filling it up past security would help keep you hydrated. Benadryl: If you need a little something to help you sleep Benadryl helps me everytime. External Battery: Not all flights have power. Being able to have peace of mind that you will have a full battery when you land is awesome. Snacks: Help keep you sated on those had to have budget flight tickets. Foreign Currency Wallet: It is nice to keep things separated so you do not have much bulk. The 3DS XL fits perfectly in the small pouch! I am by no means a minimalist when it comes to traveling. I like to be comfortable and have my things, and I think that is okay. I have a lot of bags in bags to keep things organized and easy to find. Having bags in bags makes it a lot easier to pack as well. I have a peace of mind that I have what I need to be comfortable. What do you take that keeps you comfortable when you fly? We want all the packages to be there by Dec 25th, so just wanted to let you know the delivery schedule and cutoff time for Christmas delivery. These dates are based on USPS recommended holiday shipping dates. First Class Mail - Place an order by 5th, shipped by 18th. Priority Mail - Place an order by 7th, shipped by 21st. Priority Mail Express - Place an order by 9th, shipped by 23rd. *We use USPS First Class Mail (for package less than 13oz), and Priority Mail as default shipping methods. Please contact us for different carriers or expedited shipping methods. Priority Mail International - Place an order by Nov 30th, shipped by 11th. Priority Mail Express International -Place an order by 2nd, shipped by 15th. Global Express Guaranteed - Place an order by 7th, shipped by 21st. *We use USPS First Class International mail as default shipping method. Please contact us if you would like expedited shipping methods. Place an order by Nov. 30th, for guaranteed Christmas delivery. A card-wallet is great as a small wallet alternative, but we have seen many sewn-card-wallets fall apart from a long term use. Sadly the product life of a typical card wallet is usually short. The Origami Product Series first started from full size bill wallets. No stitching, shaped just by tab and slot construction. We decided to apply our Origami Wallet method to a card wallet. Our origami card case is simple. No frills, but it does its job perfectly. And because it is so simple, it is also very versatile. On average you can hold up to 10-12 debit/credit cards. 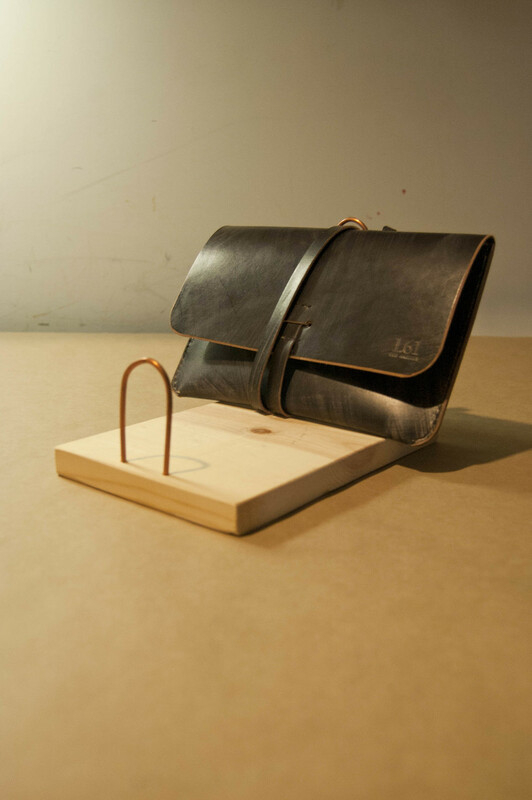 Vegetable tanned leather will stretch gracefully to your case contents. The wallet will shape into a beautifully molded case that protects your cards minimally yet perfectly. Typical card cases, you can only put 2-3 cards in a slot, or else the seam will bust out. 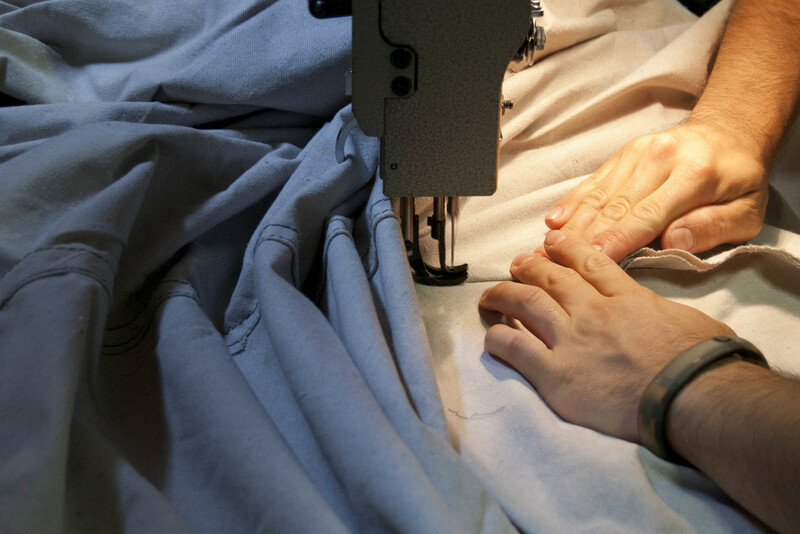 Sewn seams are the weakest points for any wallets and bags. 1.61 Origami Case Case has eliminated that weak spots and achieved the longevity of wallet life. In pictures below, you can see how my card case has transformed after 2 years of use. With, and without cards inside. You can see the thickness difference. Without contents. 2 Years old Card Case has stretched out on the side. Side view comparison, you can really see depth of these 2 cases are different. If you look at the side view of my case, you can see how it stretched, and gives more width compare to the brand new case. It has formed to my case contents, without looking damaged. The transformation will happen naturally and gradually, and it will not compromise the functionality of the case. But you can't only carry "plastics", still need to have at least few bills with you, right? No worries, I am here to teach you a little trick. For bills, I simply fold it half, and then insert it to the back of the case. ....and then, just close it! Yes, you don't need to worry about crinkle nasty looking bills even when you only carry this small card case. Fold the bills to half, and put it in. That's it! The card case has stretched out to its contents. Our company business card is a bit thicker than regular cards, but the case still holds enough cards comfortably. The case is called "Card Case" but you can also hold non-card items. Last but not least, we like the understated and subtle look of the case. At first glance, it resembles an envelope. But that is not to mimic the look of an envelope, instead the look came from the purpose to achieve durability. Our goal is to have products that functions well, AND also looks good. 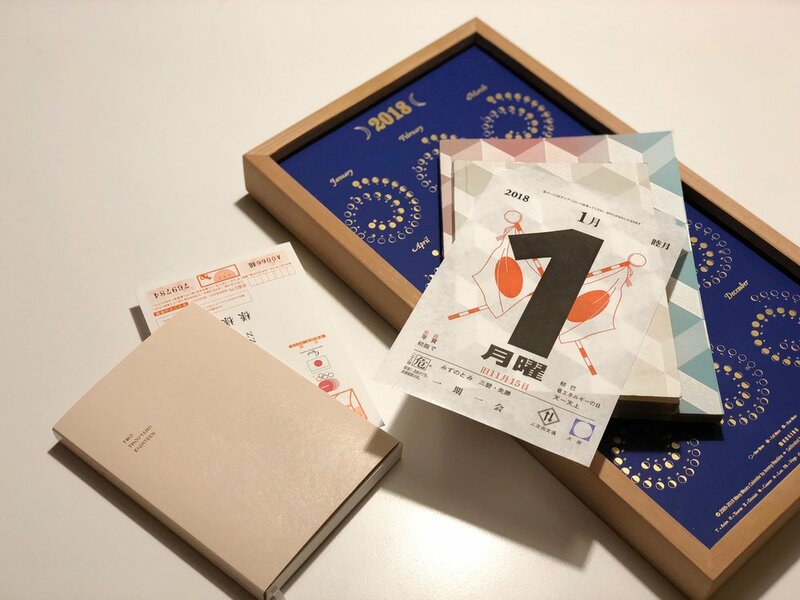 This Origami Card Case embodies 1.61's core design philosophy. Check out our card case in our shop, and we also have bigger version as a passport/traveling wallet, and the original Origami bill fold. Over the past few months we have had the pleasure of working together with the online magazine Freunde von Freunden, creating a limited pack that would be more approachable but keeping the core features of our original pack. It was interesting as we communicated mostly over email as well as our first international collaboration. We had extensive correspondence creating something that was tailored to their needs but keeping within our current values. We had a ton of fun working on this collaboration but also had the pleasure to sit down with them and talk about our process, our beliefs, and what represents our brand. It was great to have an in depth interview as well as a collaboration that represents both of our brands. Check out the interview and pack in their shop! Don't get me wrong, all customers are awesome. They are the reason we are able to provide the products we offer. But some customers are so excited about the products they have to tell us or even show us! One particular customer, Tom, runs a great blog Went Sketching, features reviews of stationaries and his really awesome sketches/illustrations. 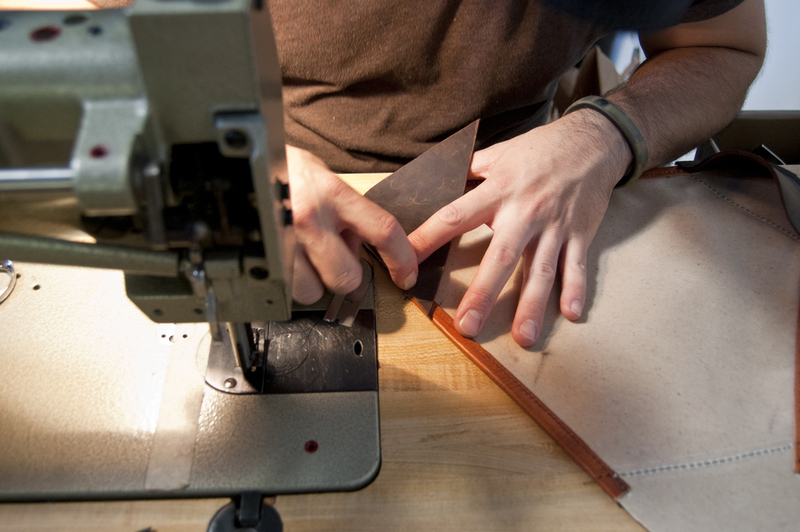 He recently posted a blog post reviewing our Field Notes notebook cover from sample sale. We were so ecstatic seeing the review on his blog and always love seeing what our customers think of our products. One of the many great sketches you can find on Tom's blog. Amazing hand-written envelope! Just the envelope alone is worth keeping. Tom's sketch on the wrapping paper we sent his notebook in. Tom , (and all the other customers out there,) thank you for supporting us and we hope your purchase serves you well for years to come! Love how cleverly he used our stamped logo as a shield. Very cool! 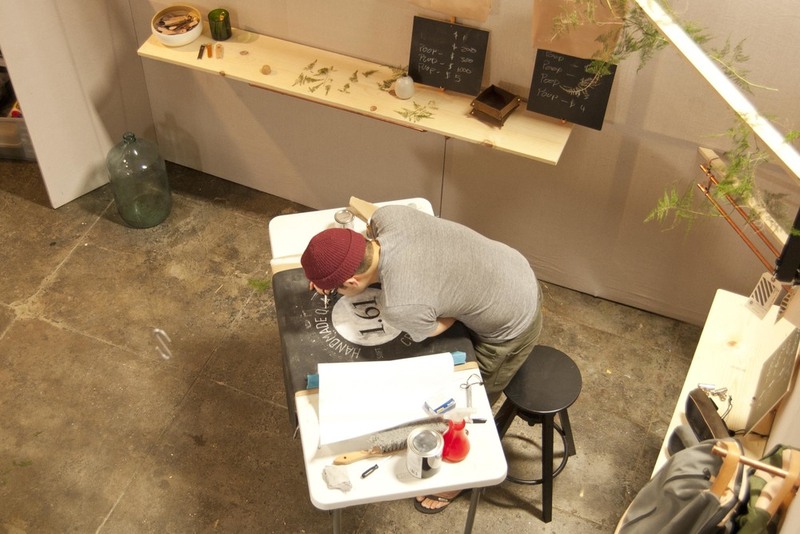 Here is our long over due report of our West Coast Craft show. 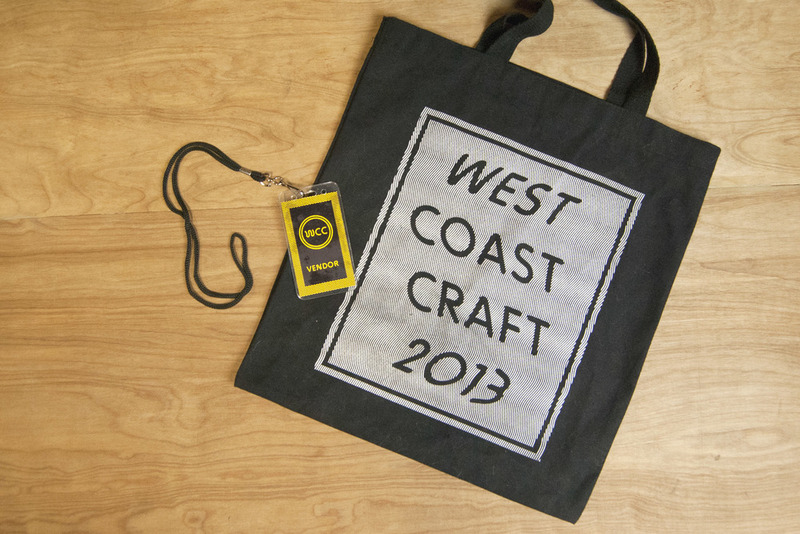 In mid Nov, we drove up to San Francisco to participate West Coast Craft. We met a lot of great people and the experience was so much greater than we could have ever expected. 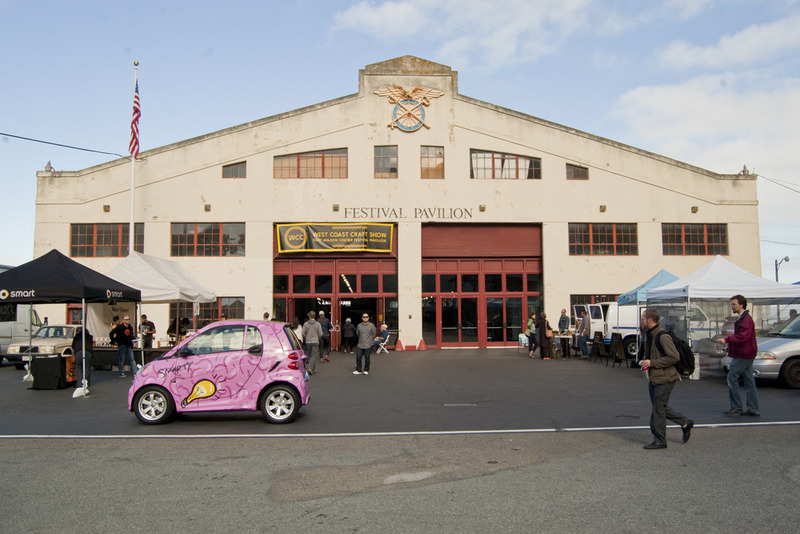 The event was held in the Fort Mason Festival Pavilion; surrounded by the beautiful Pacific Ocean, overlooking the Golden Gate Bridge and Alcatraz. Four Barrel coffee had a coffee shop setup outside both days serving freshly made, delicious coffee. I dont think we would have survived the event without their hot cups of coffee! Friday, the day before the show, was our setup day. We had all day to ourselves to set up and make sure everything was in the right place. The WCC staff was very organized and helped everyone load-in and setup their booths. I think this was one of the easiest setup days we ever had. And so it begins! The morning of the both days were pretty cold from the chilly ocean air, but we actually really enjoyed it since we don't get much of that in Southern California. And the festival pavilion is equipped with overhead heaters, it is such a fantastic facility! 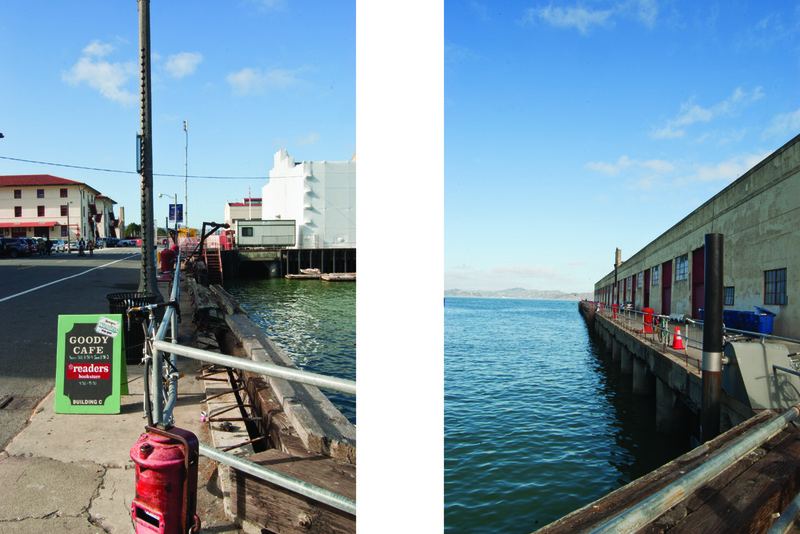 Fort Mason was also a great location for the event, it attracted a variety of people. A crowd from the weekly farmer's market, joggers running along the coast, and the visitors from galleries and restaurants of Fort Mason. Smart Car test drive at WCC. Not to mention there were so many other great vendors. We wish we had more time to roam around and check out other booths. 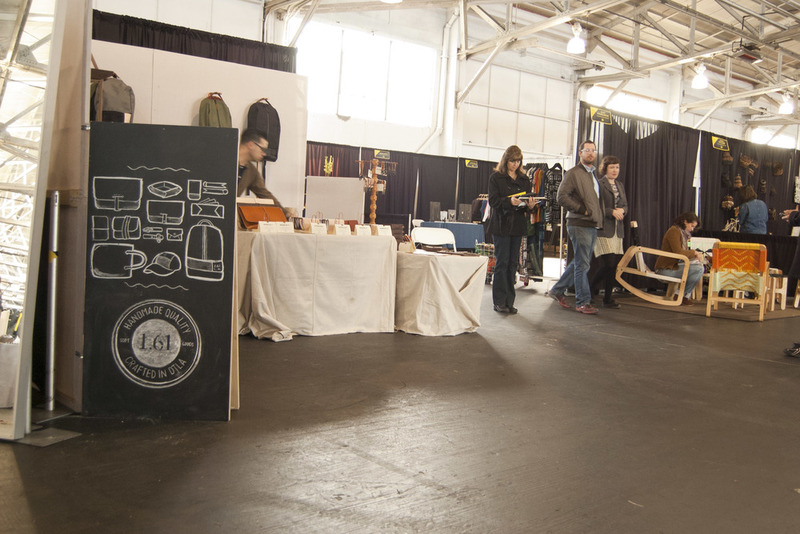 The WCC staff curated a top-notch group of west coast designers and makers. We are so grateful to be a part of the event. Just to be in the company of great talent gave us a lot of inspiration. Beautiful pots and t-shirts from TW Workshop. Around 3 PM the afternoon light hit our booth. 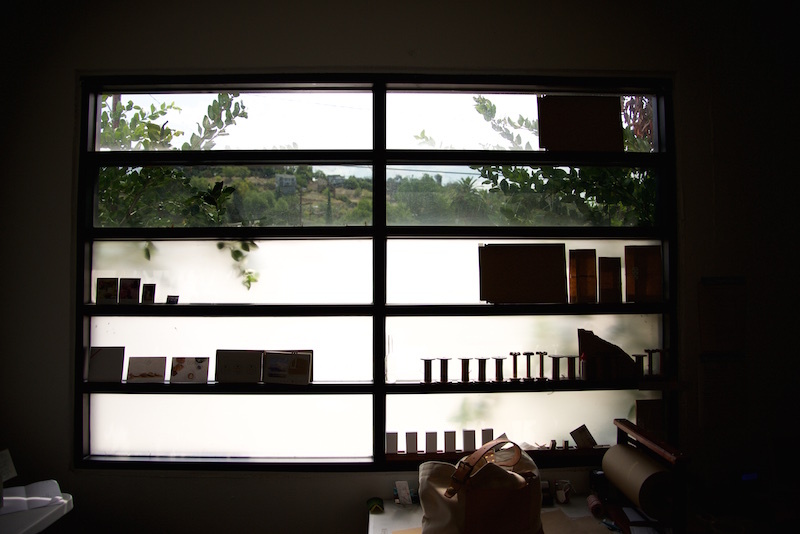 The golden colored sunlight made our products glow. Angela with 1.61 Roll top back pack! The event was a total blast, and we had so much fun with our friends and customers. Thank you for those who came out, and to the WCC staff for organizing this great event!! WCC posters, postcards, and "West Coasters"
In the early November, we were invited to be a part of East Fork Supply Co.'s First year Anniversary event. 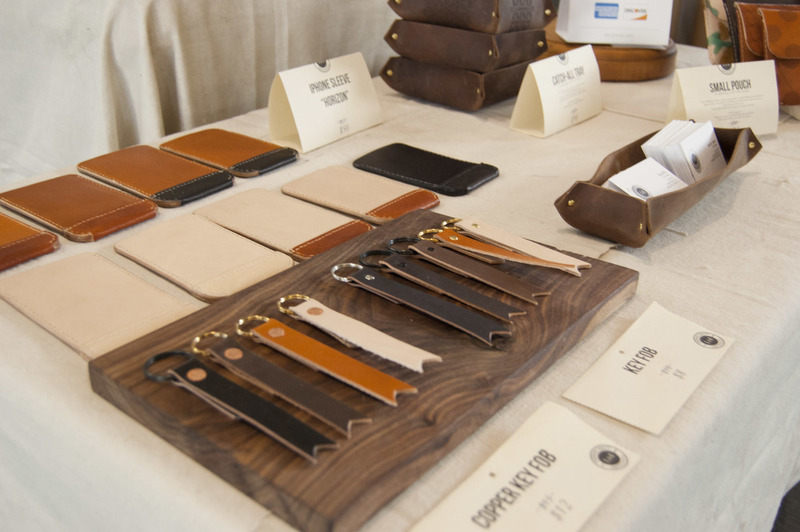 The event featured many other great brands and companies such as Imperial Barber Products, BlackTop Society, Wheelmen & Co., Richer Poorer, NWA Truck, Roland Sands Design, Adam Bendig Photography, Chivas and Glenlivet. Many great bikes parked in front of the store! EFSCO is a great store to see the latest trends of motorcycles and related items. Needless to say, the owner Chuun has a great passion for bikes, and he is very knowledgable. Rolland Sands Design's Technics Bike was at the event for display! The detail is just amazing. We were staring at this machine for so long. And there was whiskey tasting. We tasted Glenlivet 15 and 18, both were so smooth. We ended up trading for a bottle of Glenlivet 15 for our product, this is the most unexpected item we have bartered for before! Pedro from Imperial Barber Goods was on site, giving haircuts and styling sweet hairdos. We are glad to be part of such a fun event, talking to fans, new, and return customers. Thank you so much Chuun for inviting us, we feel very grateful to be part of the great EFSCO family! First thing, we had to downsize our entire booth setup. We've been fortunate to have great events around the workshop, so we did not mind to make a couple of trips back and forth to setup our display. Now that we have to drive quite a bit further we decided to minimize the size so that we can fit it nicely to our car. We made our booth wall panels more compact so the 7ft wall will not hang outside of the car. 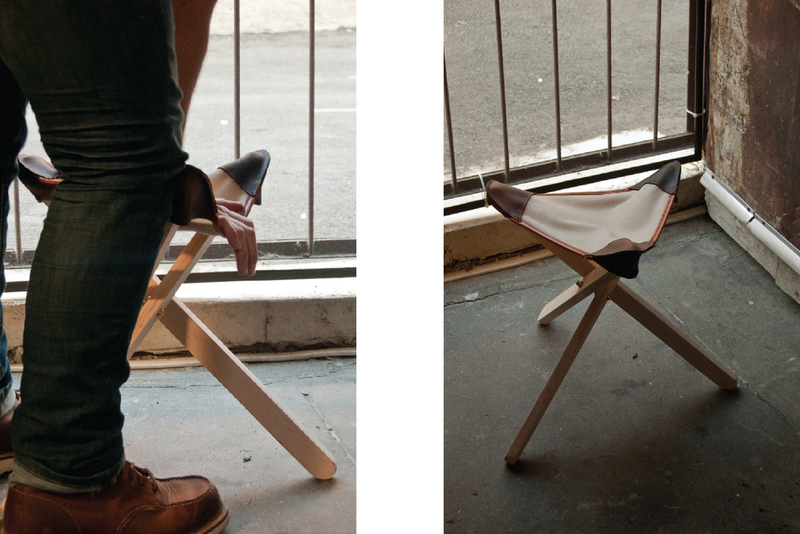 Since we are trying to shrink everything down to make it easier to transport, we decided to make a collapsible stool. We got the stool inspiration from this DIY project online. 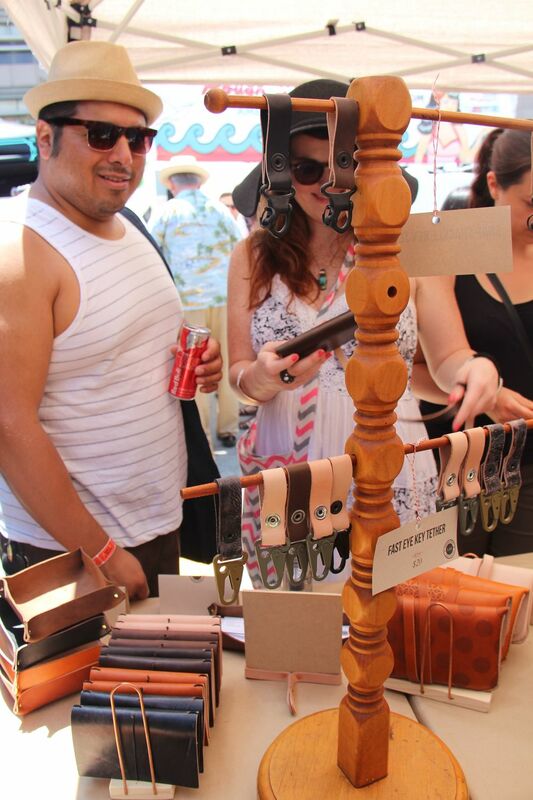 We repurposed left over wood pieces from our Leather Strap Shelf boards, scrap leather pieces, waxed canvas, and hardwares from Home Depot. Since we will be able to show our works in person to our customers, we decided to add wood options to our Leather Strap Shelf. These wood are much heavier and denser than Pine wood boards that we regularly offer, so we thought this would be a good opportunity for us to see if there will be a demand for different wood options. Understanding what customers want always is our number one priority, and the needs are always changing. It is great to see the reactions and response to our products in person. The wood we chose for the show is: Maple, Cherry and Walnut. Maple is lighter hue, very close to white, it is similar to Pine we use. Cherry has warmer hue, almost looks pink, the color is close the natural leather strap we offer. And Walnut has dark rich brown tone, with beautiful grain. 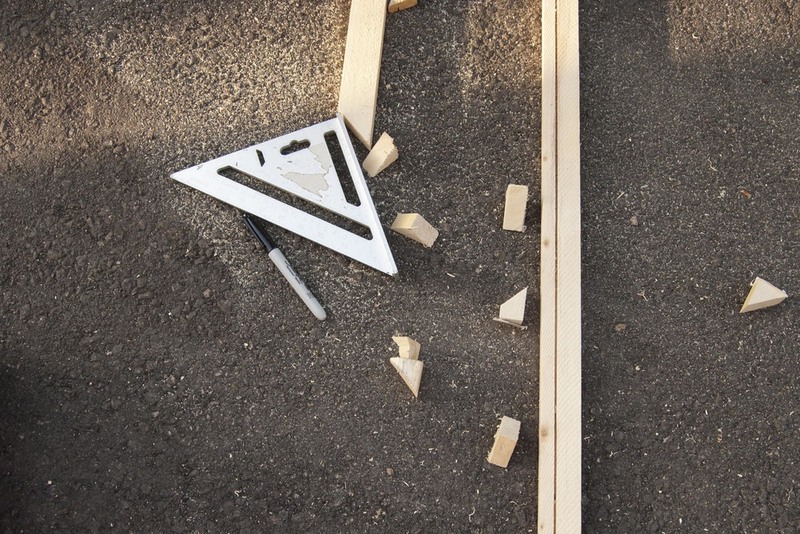 We hand sanded each edges carefully to give little bit of rounded corners. Then we apply a little bit of bee's wax. Once the wax was applied, it brings out all the beauty that the wood has. And then, inventory check. Making sure we have all the stuff! 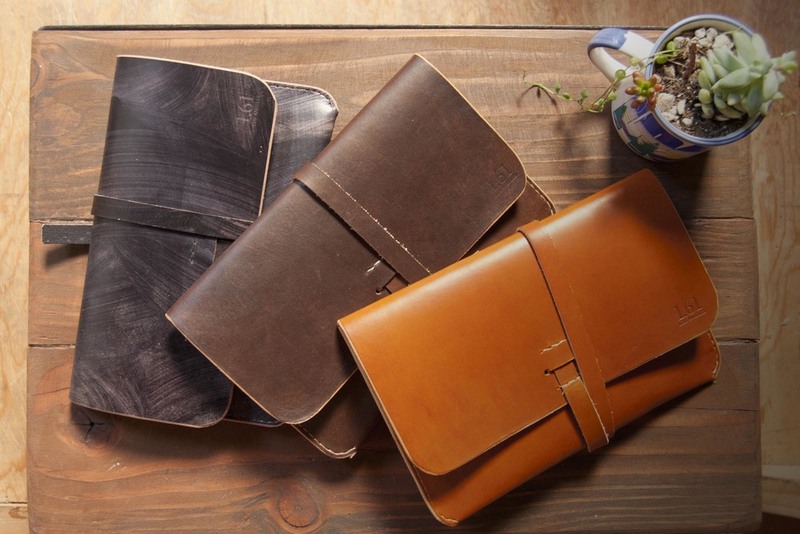 When it comes to storing, leather items are little bit tricky. We need to avoid sunlight from damaging our natural colored leather times, and also have to separate them from darker colored leathers. We have learned it from the hard ways in the past...! We are also working on new items that will debut at WCC; hand-dyed camo, denim hat, new backpack, and iPhone Sleeves. We had several events both online and offline in September. 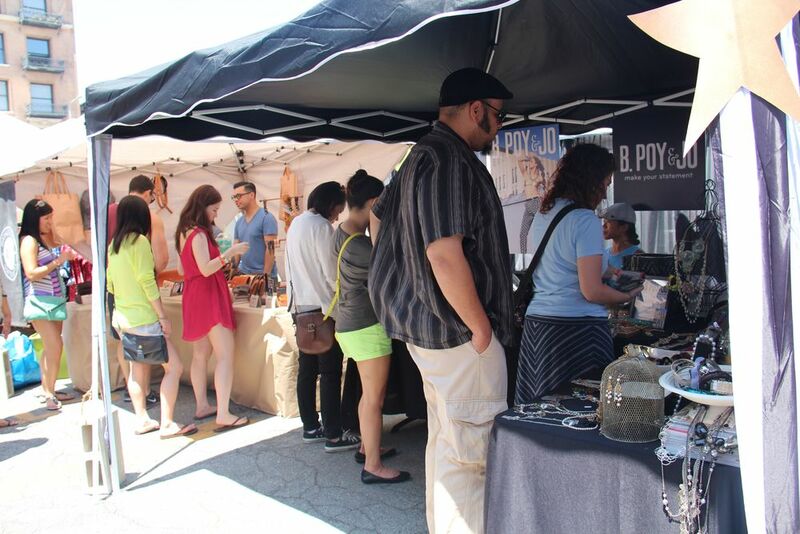 Started off with Downtown Flea, then Re-Draw Showcase, Huckberry, Refinery 29, and The Pond LA. It was such a packed schedule, we don't even know how we managed it! 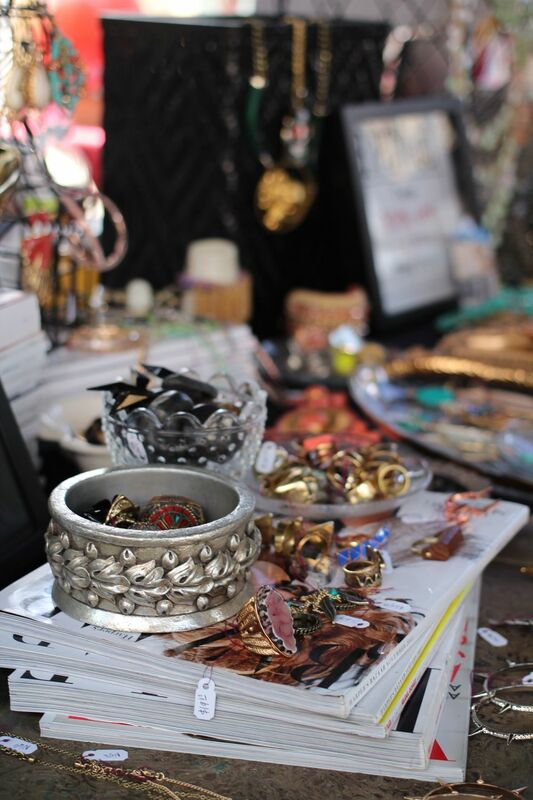 We kicked off September with DowntownFlea. We had a great time with our neighbor B.Poy & Jo as usual, and we saw a lot of familiar faces. It was so nice to see our customers back again. For the Design Showcase event we had several meetings with Re-Draw. Their light filled studio is just amazing! They fixed up this abandoned space in less than 3 months, and turned it into total gem. 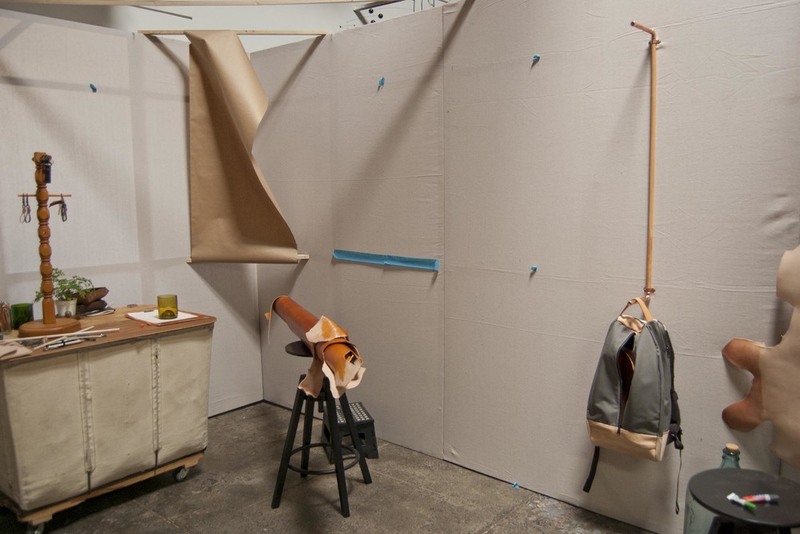 Re-draw is a furniture design studio funded by 6 guys who were childhood friends. They all have different backgrounds and took different path in their life, but they all quit their job and started a business together. Their furniture is very unique and nothing like what you will typically see in current furniture. Everything they make is from recycled materials, they will travel down the coast just to find the perfect source for materials. And in the meantime, we also worked on our online events. 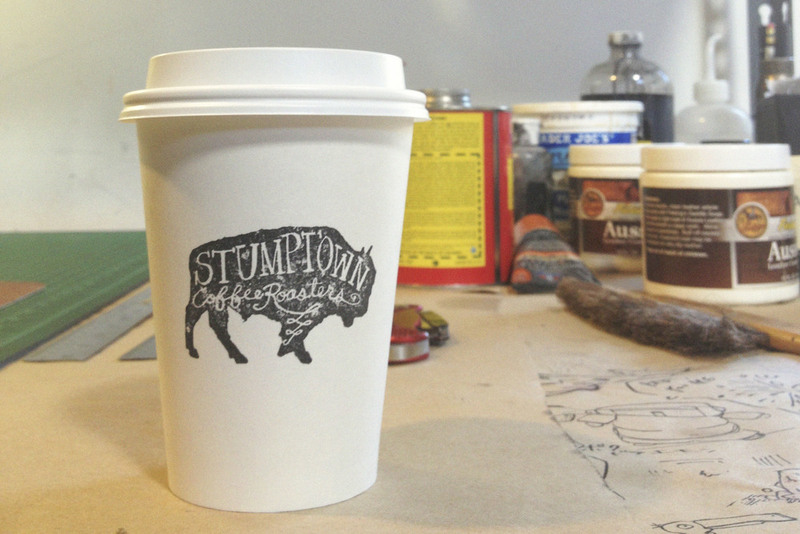 We were very honored to work with 2 great companies, Huckberry and Refinery 29. Both events happened around the same time, which worked out great because we were able to reach out to bigger crowd; both men and women. And the last of the events was The Pond LA. The Retail Pond is Vancouver based company promotes supporting local business. The Pond LA was their inaugural event to start Los Angeles Chapter. 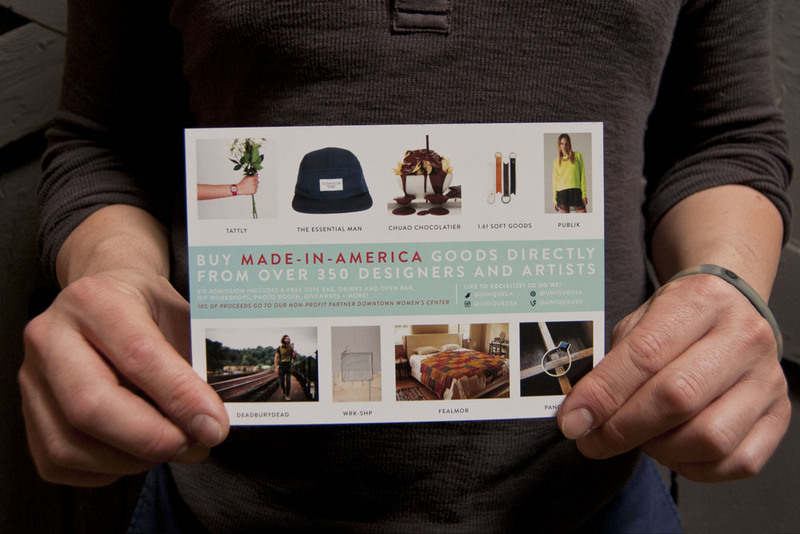 They carefully hand selected Los Angeles based makers and designers. It was such a great list of companies, we were so humbled to be invited and able to participate the event. It was held in a beautiful loft overlooking the city, and the set was designed by talented Andy Byers. 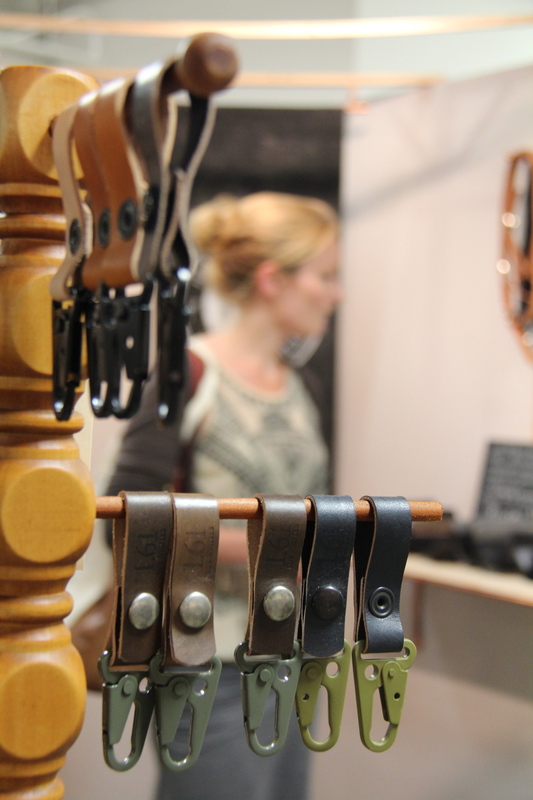 We met many great people behind the brands, was such a pleasure to get to know them. October has been a catch-up month for the whirlwind september. But we are also preparing new items for West Coast Craft and getting ready to celebrate East Fork Supply Co.'s 1 year anniversary in November. So excited to participate both events and can't wait to meet new friends! We will write more about EFSCO and WCC, and share some pictures of prep process here soon. Here at the workshop, we use our notebook cover everyday. 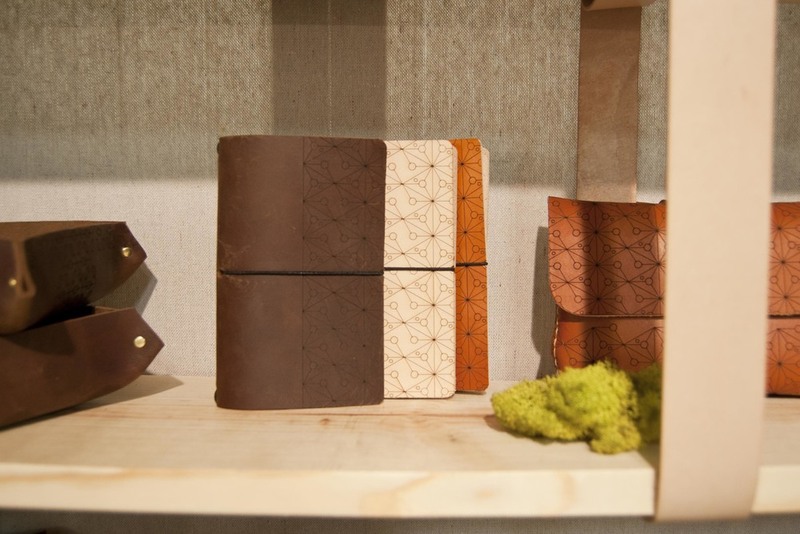 These notebooks (shown in the picture below) started to show the beautiful aging process. The colors are getting darker, and texture is softer and smoother. More we use them more we get emotionally attached to them. At pop-up store events, we usually bring these covers with us, to show an example of aging process. Interestingly enough, at least a few customers will ask if these aged covers are for sale! The leather has the soft shine/glow and nicely rounded edges, we think these characteristics attract people. 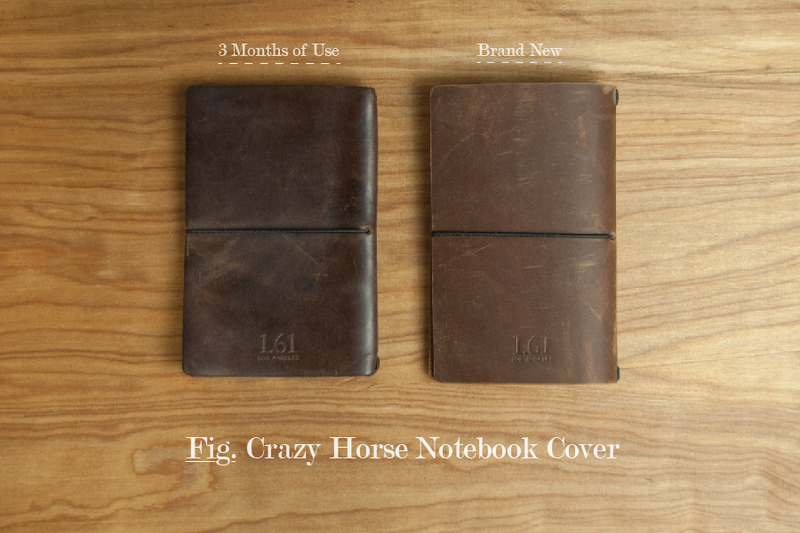 Our latest addition to the Notebook Cover family is made from Crazy Horse leather. 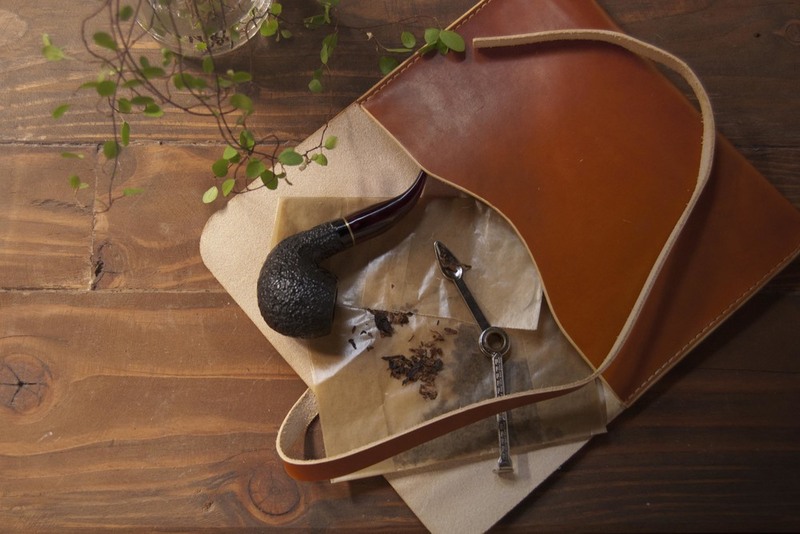 It has rugged and rough look, but it has soft velvety feel and a great pul-lup. If you enjoy the transformation of leather, this is a great one to have. By using it daily and keeping it in your back pocket, the cover will start to show different scratch marks and stains. It tells a great story of who you are. We keep multiple notebooks around the shop, assign each for different purposes. These notebooks are filled with production notes, order details, just-for-fun drawings, sketched-out ideas, and even a simple shopping list. 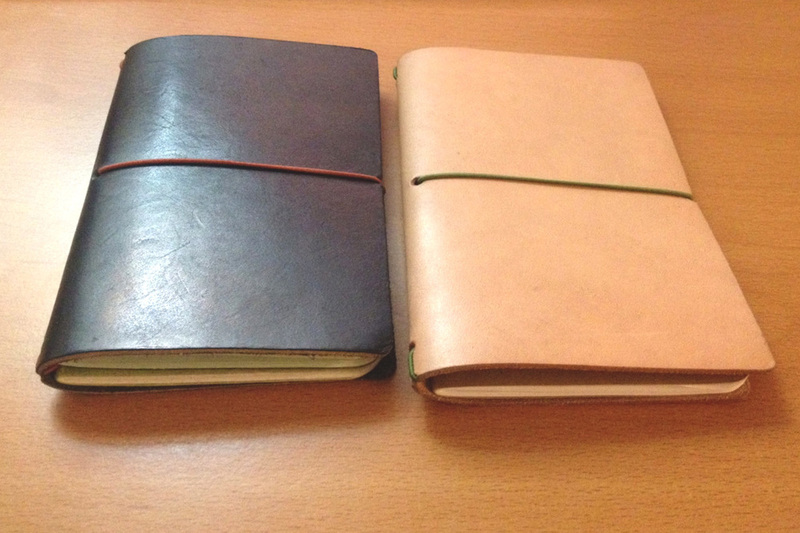 Since Field Notes is very thin and light weight, we usually carry 2-3 notebooks at the same time. It helps us to stay organized by separating notebooks. What we love about the covers is that they keep the notebooks from being damaged by everyday use and also we can easily identify which notebook we are looking for at the moment. 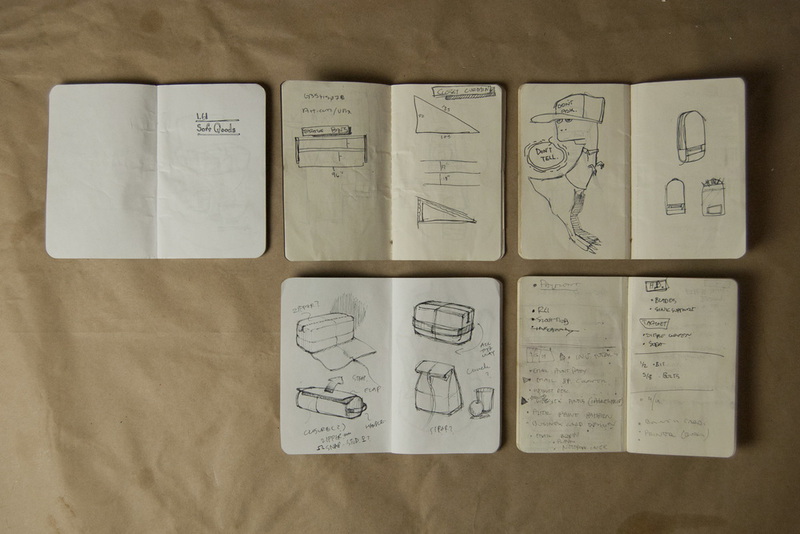 We used to use the classic moleskine sketchbook. Still love the sketchbook very much for it's high quality and the size, but as our lifestyle changes, we find that keeping multiple small notebooks is more practical and portable. Once a notebook is filled up, we simply put it in the archive box, and replace it with a new notebook. Some of our retired notebooks. Notebook Cover Fan Picture from Angie in LA. 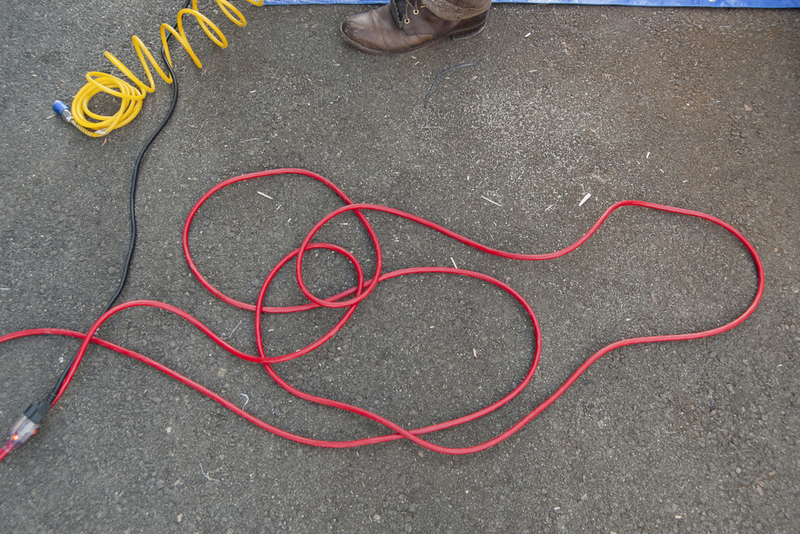 She switched the bungee cord to different colors! 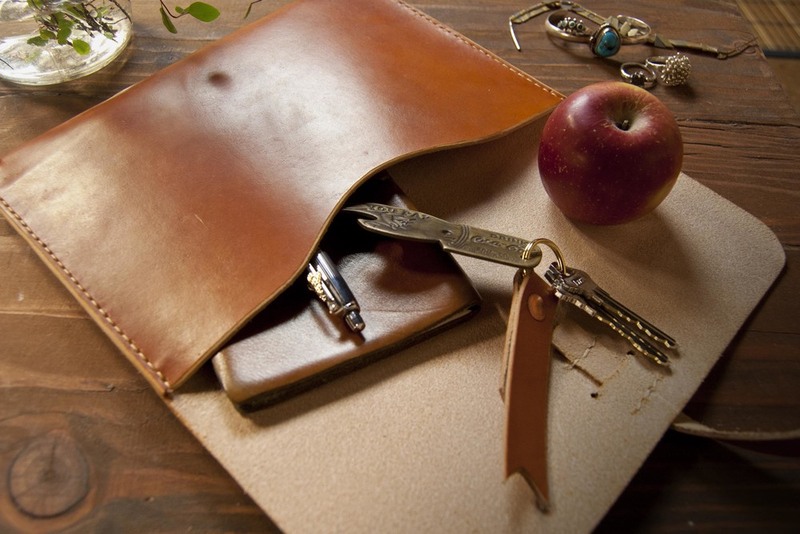 There are many other great ways to use this notebook cover too! 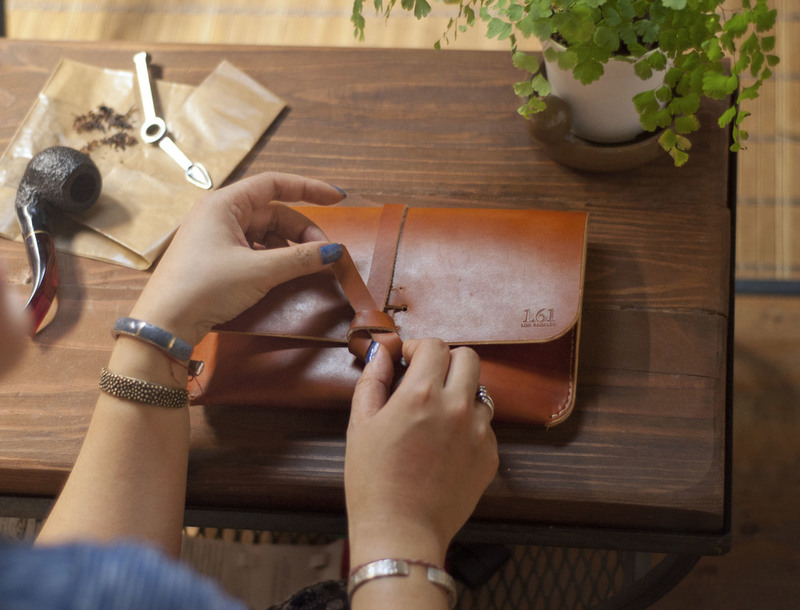 Customers have told us that they use it to keep their expenses (perfect to keep the receipts together), a present for her boyfriend who is a writer, and even a customized pair of covers for the newly-weds. How do/would you use the notebook cover? This minimal leather cover has endless possibilities! As we have mentioned this before, we had our first Unique LA show last weekend. Thank you so much for those came out and stopped by at our booth. It was great to see familiar faces as well as meeting new friends. It was such a action-packed weekend, so we decided to have 2 posts dedicated to Unique LA spring show. So, here's part 1 of 2. 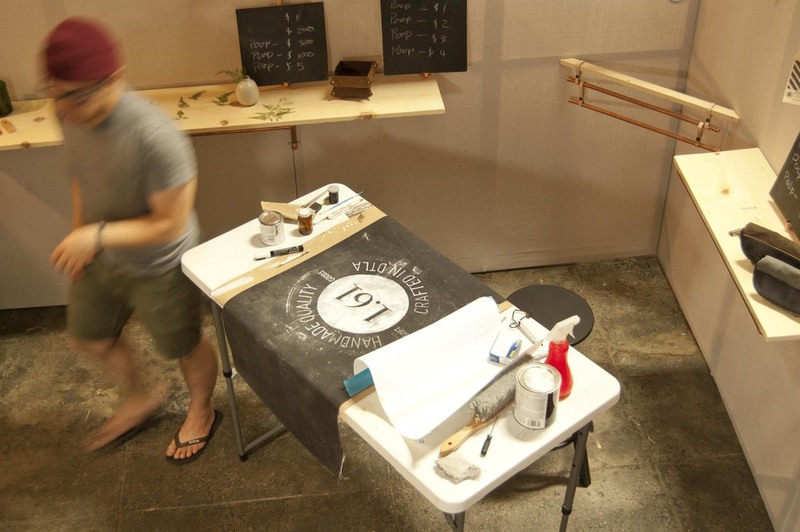 We want to share how we made our booth and our inspiration behind it. Yup. Sawdust. We started from making our frames for the backdrop wall. We chose very lightweight wood sticks, for the easy transfer and easy loading to the event. Our next step was to stretch the canvas over the frame. Large canvas is a bit difficult to stretch, but the principle is still the same; slowly but surely. Just need to be patient and make sure there is no any wrinkles. We chose canvas cloth as back drop for its neutral look and feel. It is much lighter weight than wood panels, but still very versatile. We made our panels to be easy to store, for use in the future. For this show, we kept it simple so our product will stand out against the wall. Voilà! Walls are up. We always do mock-table/mock-booth for each events. Practice makes it perfect, right? Copper pipes! 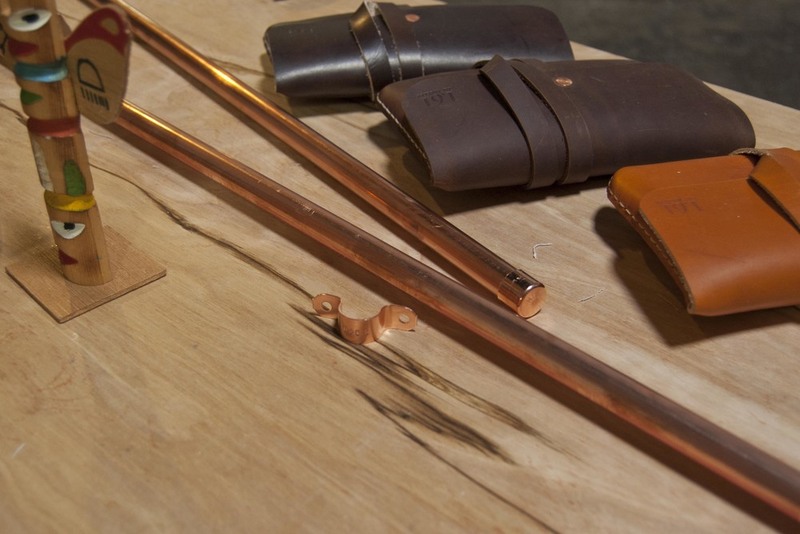 We chose copper pipes not only because it is beautiful material, but also it ties together with our products. 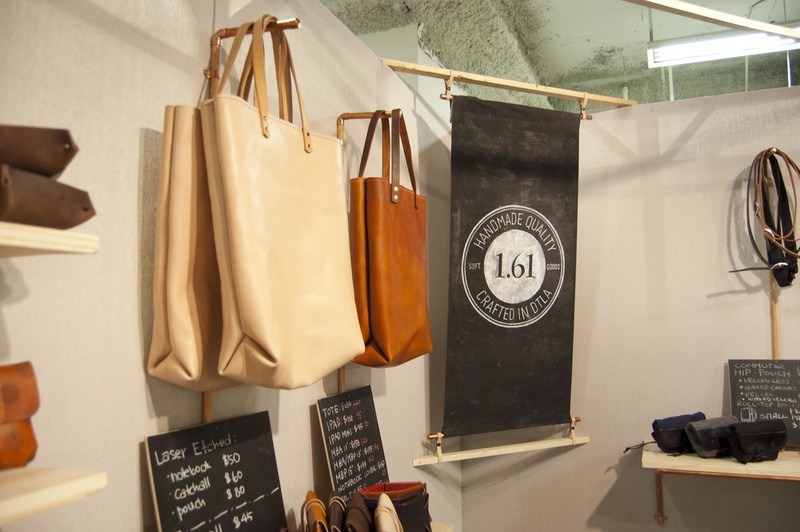 Just like the copper rivets on our market tote, we wanted the material to be a good accent for the booth. We then put the hooks and shelves up, and this was pretty much the final shape of our booth. And yes, 1.61 products are made in cat-friendly environment. The final detail, signage. All hand painted by us, just like our products! For the part 2 of Unique LA Wrap Up, we will show you the pictures from the event. Stay tuned!